There are several options how to create a route. Go to Routes menu and tap on New Route. If you allow Shared location services, the map will be zoomed to your location. Click the map to add the starting point of your preplanned route. 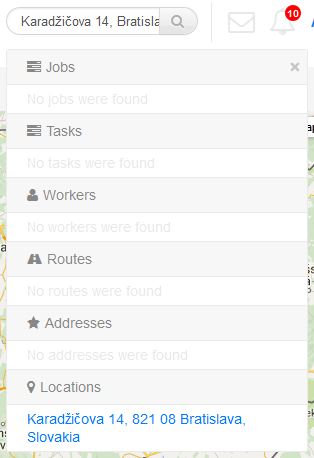 You can find the start point by simple map dragging and zooming or find the location using a search field. 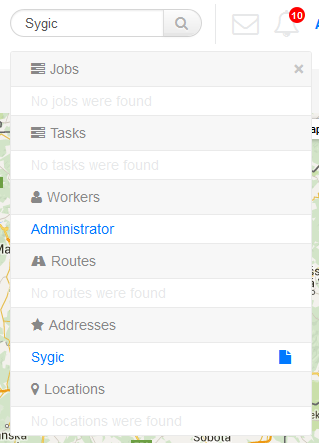 You can search for a location or for a stored address. Open any finished Job and click Create route button. Create a new route and tap on Import button. Select a file to import. The imported file will be precleaned automatically in order to keep only significant points of the route. The route will be displayed on map. Note that the route is still not saved. The file should have two columns – lattitude and longitude – separated by comma, tab or colon. First row includes a header, which can be written in any language. Please note, that the routes are not saved automatically. Click on Save to save the route.